We’d love your help. Let us know what’s wrong with this preview of Three Wise Men from the East by Patrick Whitworth. Includes a forward by Rowan Williams. The Cappadocian fathers of the fourth century—Basil of Caesarea, Gregory of Nyssa and Gregory Nazianzen—produced thoughts on the Trinity, the creation, the incarnation, the holistic reading of scripture and the discipline of the soul which are playing a more seminal role in Christian theology today that at any time in the last four hund Includes a forward by Rowan Williams. "Wonderfully comprehensive and clear. 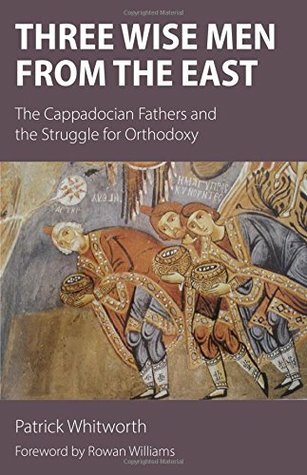 We are able to see the Cappadocians not as counters in the board game of controversy but as complex human figures wrestling with the challenges of internal and external crises for the Church. This will be a really welcome tool for all students of early Christianity, and excellent and accessible reading for anyone who wants to understand better the formative period of Christian teaching. It is a message that the Church of our own time should take very seriously." To ask other readers questions about Three Wise Men from the East, please sign up.